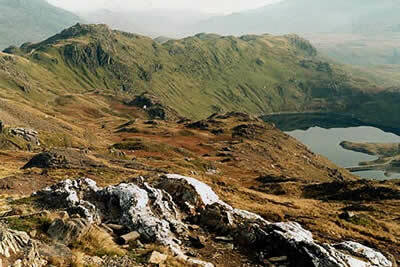 Snowdon, the highest mountain in Wales, is the objective of this Snowdonia walk. The route uses the Pyg and Miner's paths from Pen-y-Pass. A classic route to Snowdon's summit, this walk involves the least climbing to reach the summit and is through dramatic mountain scenery. A GPX File is available for download (see walk description).